Globe International is managed by an independent Board of Management comprised of five members. She has produced more than 300 television programs and has translated more than 30 television movies and documentaries into Mongolian from Russian and English. She has written four television dramas and two plays, for one of which she was awarded the Leon Prize for Best Play in 2002. She is the author of a series of reports and presentations, including "The Media Situation in Central Asian Countries: Kazakhstan, Kyrgyzstan and Uzbekistan" (1996), "On the Road to Freedom" about the media situation in Kazakhstan, Kyrgyzstan and Tajikistan (1998), and the "Public Broadcasting Handbook". She has worked on more than 30 development projects, including the TACIS-IFJ projects "Media for Democracy" and "Covering Elections". She has also worked as a lecturer and teacher of television journalism theory and has conducted workshops at the Mongolian National University, the Institute of Foreign Languages and the Press Institute of Mongolia. She has been an advisor to the Executive Committee of the International Federation of Journalists since 1998 and was listed in the "The 100 Best Mongolian Women" and "Who’s Who?" 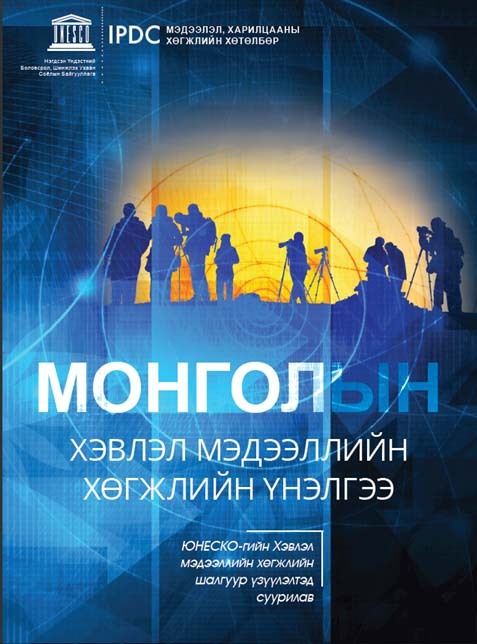 in Encyclopedia Mongolia. B.Galaarid is a famous Mongolian journalist, translator and writer. He graduated from Journalism faculty of Ural State University, Yekaterinburg, Russia in 1989. He worked as a reporter of Altain Hogjil, local newspaper, Gobi-Altai aimag, Zaluuchuudyn Unen, weekly newspaper, reporter, senior editor and sub-editor of Ardyn Erkh, daily newspaper, Chief-in-Editor of the daily newspapers Zuuny Medee and Onoodor. He has been teaching the journalism in the In-house Training School of Ardyn Erkh, daily, Journalism Diploma course, Press Institute of Mongolia and Journalism Department of Cinematography Institute. He is an author of more than ten popular books such as A Man of the Countryside, Notes of the hidden world etc. he has written. His special interests are shamanism and parapsychology. He worked as Board Member of DANIDA established Free Press Foundation , Member of the Advisory Board of Mongolian National Broadcaster, Board Member of the Mongolian-Swedish Development Fund,. He was elected as Board Chairman of Globe International in 2008. Has been active in distribution of the ideas and concepts of freedoms of expression, information and media since early 1990. 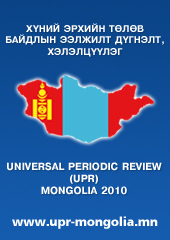 Chuluunbaatar studied at the University of Bucharest and the University of New York. He has more than 10 years’ experience in broadcast media and has produced more than 200 television programs and 30 documentaries, and is former editor-in-chief of the "Mongoliin Medee" (Mongolian News) newspaper. At present he is the Secretary-General of the Confederation of Mongolian Journalists. He speaks fluent English, Russian and Romanian. Tsevlee is a well-known Mongolian journalist with more than 40 years of experience. 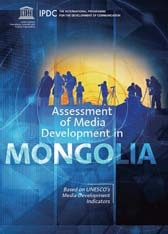 He has worked as a reporter and editor-in-chief in newspapers and was director general of Mongolian Radio and TV. He is also the author of many renowned publications and books. At present he is an advisor to the "Zuunii Medee" (Century News) newspaper and is a lecturer in the Journalism Department of the Mongolian National University. He speaks fluent Russian.